We produce retractable pull up banners for our clients for use at events and trade shows. 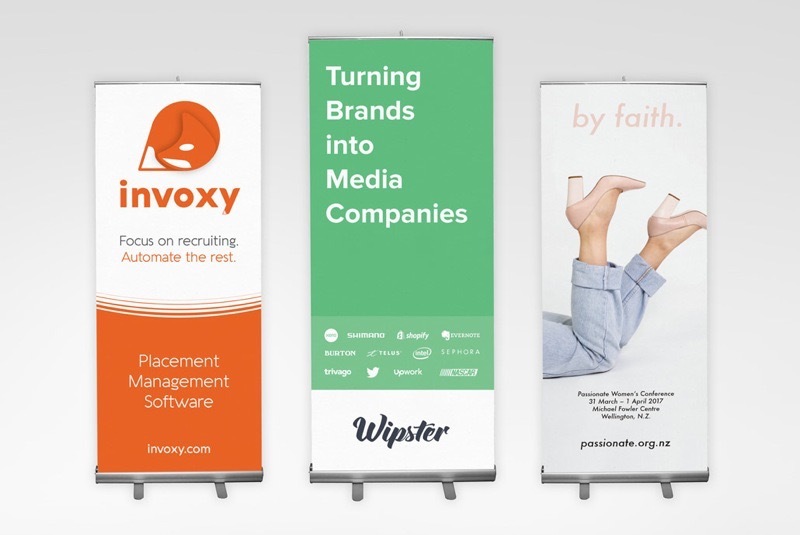 These banners are printed onto a premium scrimless grey backed PVC banner material. Once opened the banners measure a large 850mm wide by 2285mm tall and for easy transport, they retract into their inbuilt stands.